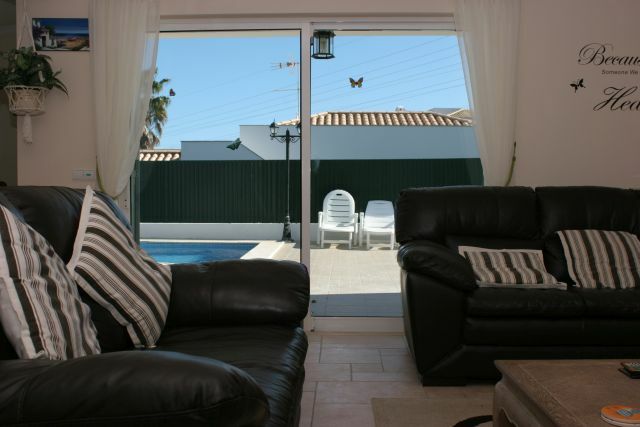 Casa de Sonhos is a bright one level luxury villa located at the rear of an exclusive complex, minutes from the centre of Albufeira & within half-hours drive of Faro airport, the picturesque Monchique Mountains and some of the most beautiful beaches on the Algarve. The villa has the benefit of it’s own private 8.5 metres x 4.5 metres pool, located to the south side of the villa. The landscape garden also has a poolside shower, a tiled patio / BBQ area for Al fresco dining & an extensive roof terrace that’s not overlooked.